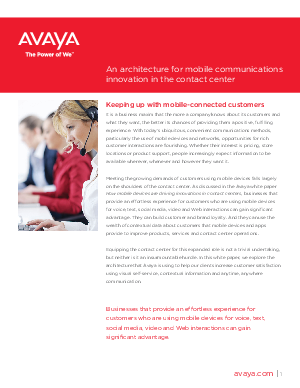 Meeting the growing demands of customers using mobile devices falls largely on the shoulders of the contact center. To learn more download this whitepaper. Compliments of Avaya.